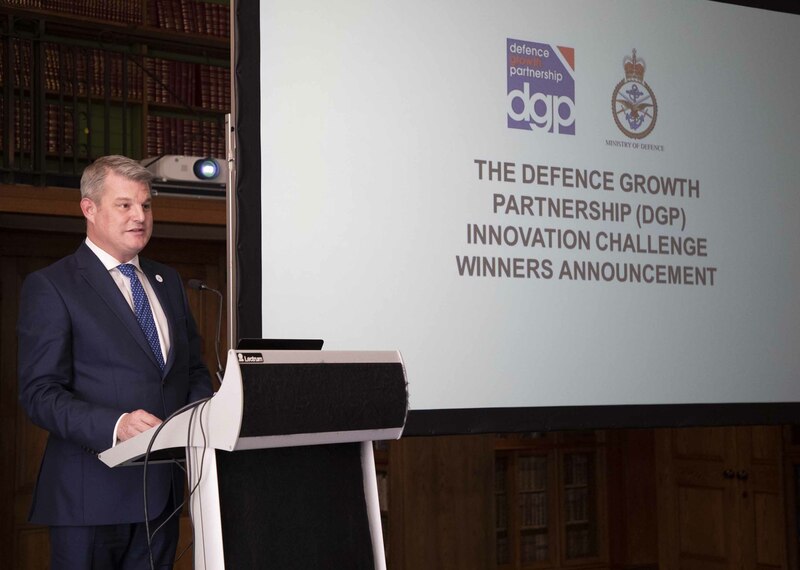 Yesterday at the Institute of Engineering and Technology, at an event organised by the UK Defence Solutions Centre (UKDSC), Defence Minister Stuart Andrew announced the winners of the final phase of the Defence Growth Partnership’s (DGP) Innovation Challenge. The UKDSC on behalf of the DGP and in partnership with the MOD has supported these challenges throughout the phases of this cutting-edge innovation programme. The final stage of the programme was launched at the Farnborough International Air show in July with the goal of developing innovative solutions to key strategic future demands for UK defence in autonomy and big data. Please follow the link below for the full announcement.